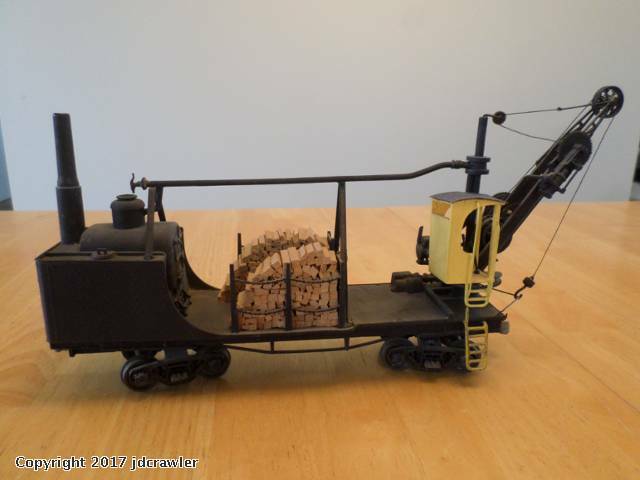 I like to build whimsical pieces of equipment that a small railroad, like a logging railroad, might have built in their own shops. 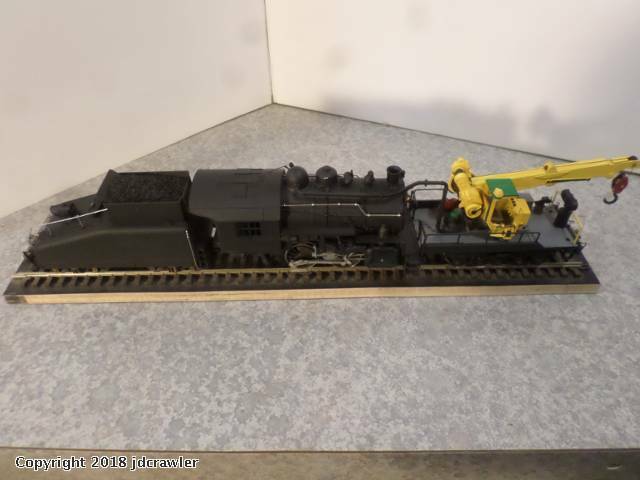 The people that ran and maintained small working railroads back in the steam area, were very good at creating whatever they needed from whatever spare parts and used equipment that they had access to. Unlike today, where most often we buy a new piece of machinery or other kinds of equipment and when it is worn out we just throw it away, back then they scavenged parts off their worn out equipment and used them to build something else that they could use. 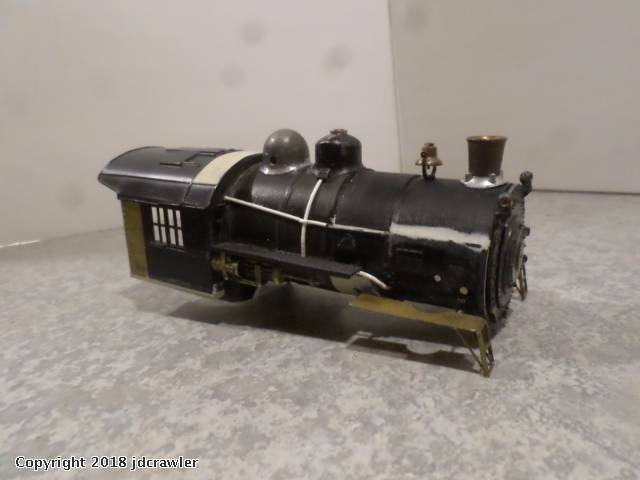 These models that I build aren't replicas of anything that really existed, just fanciful ideas of something that someone might have built out of junk parts. 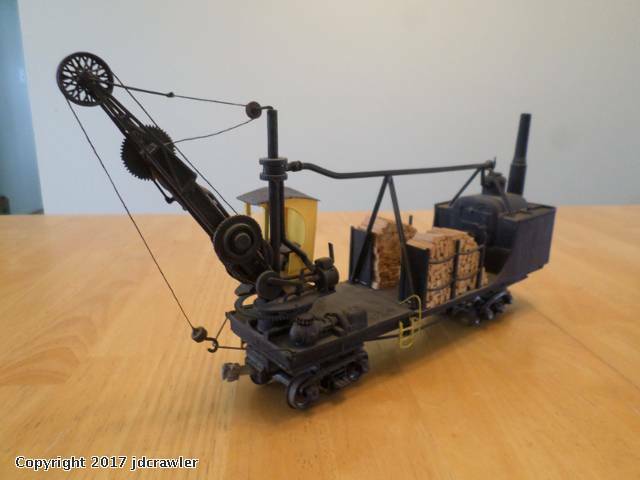 I built this one way back in the 80's and it is a steam powered crane that might have been built back in the 1920's or 1930's. 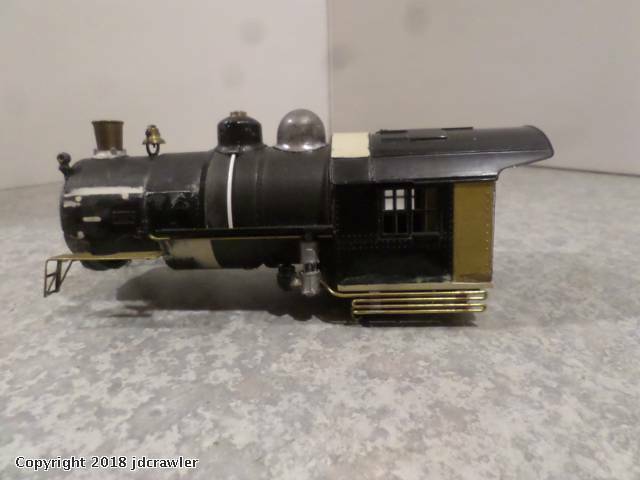 The boiler is from a Rivarossi Casey Jones locomotive kit from back in the 70's with the back half of an 0-8-0 tender wrapped around it to hold the the water supply. 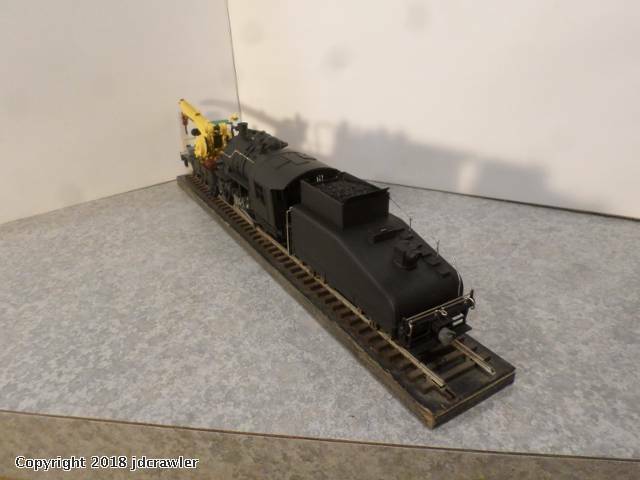 I believe the smoke stack is made from a magic marker tube and the rest is just bits and pieces that I had laying around and they're all mounted on a flat car. 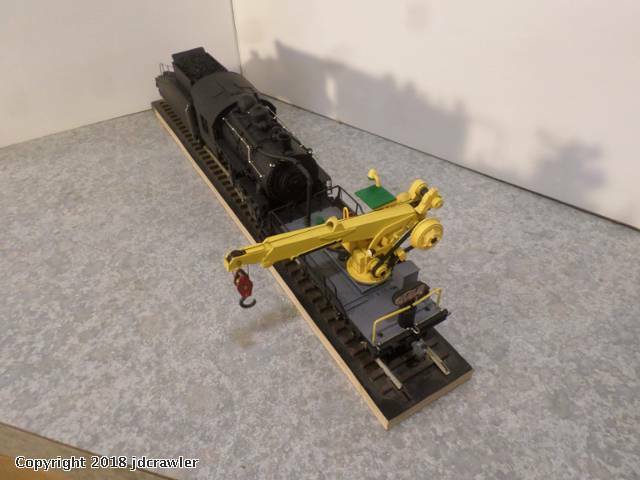 Thinking along those same lines, I was going thru some of my junk parts left over from building other projects and I decided to build another steam operated crane that would have been built right after the war and be a more modern version of the older steam crane. 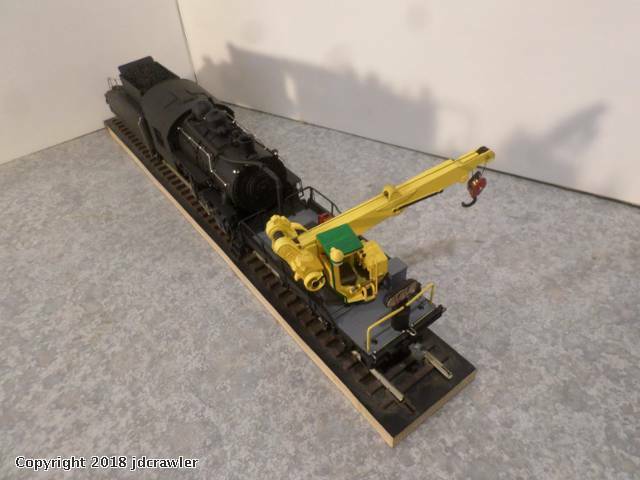 The older crane had to be transported to the job site with a separate steam locomotive and crew and I decided that this one would be self powered and use the wrecker boom from a Army surplus wrecker. Here are the parts that I've come up with to get started. 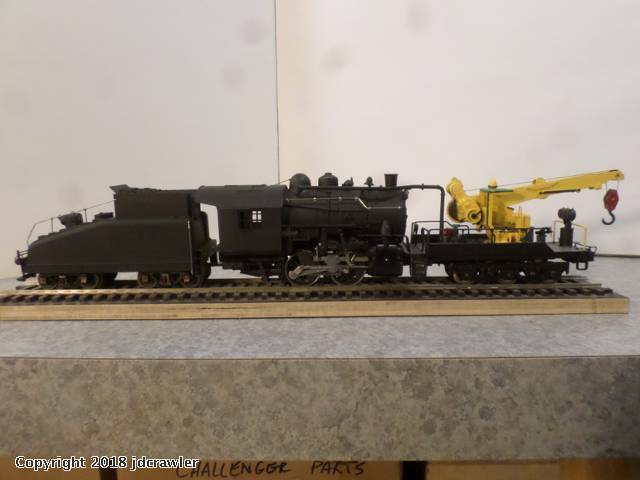 A working chassis from a 0-4-0 steam engine, a cab and boiler parts from the Rivarossi 0-8-0 locomotive kit and the truck bed and wrecker boom from a model of a Army wrecker. I have already attached a set of steps and a platform to one end of the truck bed. The crane part of this model is from an old model of a Army wrecker that I had gotten from somewhere and for some reason that I don't even remember why ( I'm not interested in Army models at all ). 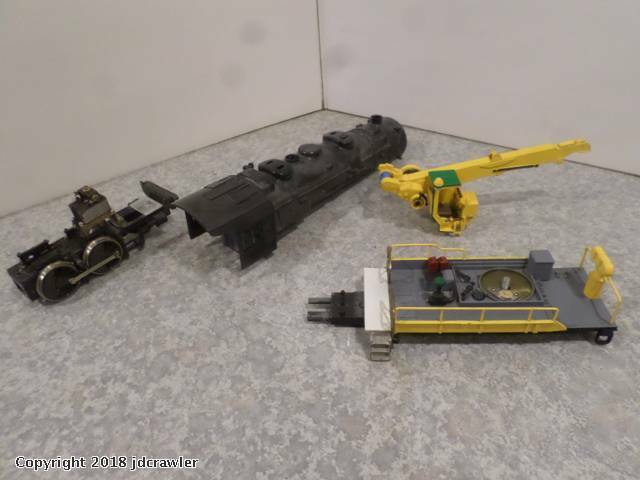 The wrecker model is 1/32 scale and my trains are 1/48 scale so the truck itself is to big to go with them but the size of the truck bed and the wrecker boom are okay as part of a railroad car. I'm going to mount this truck bed in front of a steam engine as a flatcar for the crane to sit on. 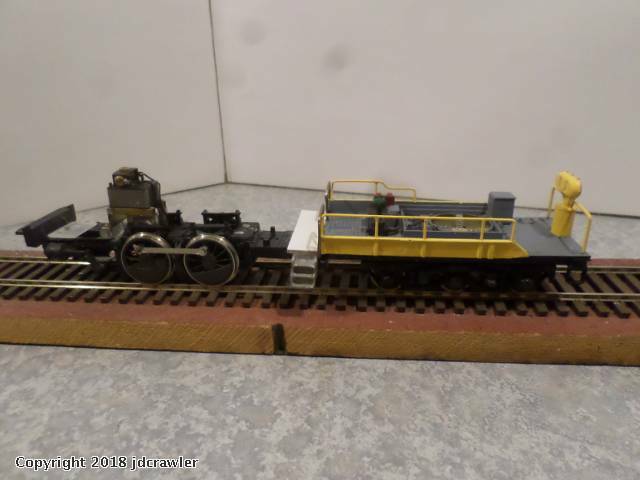 The first thing that I need is a heavy duty truck to support the flatcar. 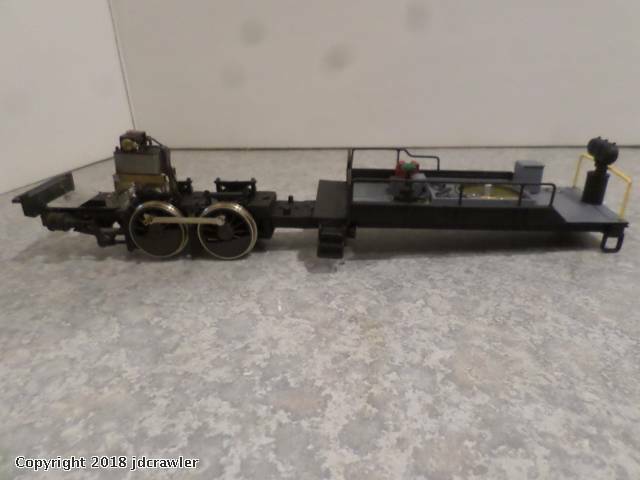 I'm using a six wheel passenger car truck and I've fixed it up so the electrical current for the motor can be taken from it's wheels along with the drive wheels on the locomotive part of this contraption. 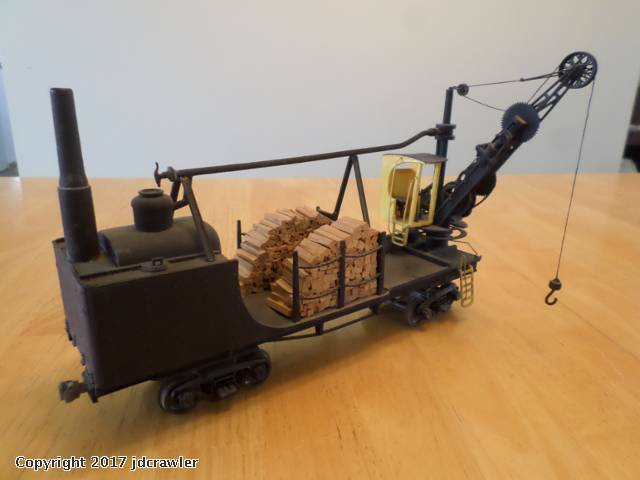 The six wheel truck is mounted under the Army truck bed and then the truck bed is attached to the front of the steam locomotive chassis. 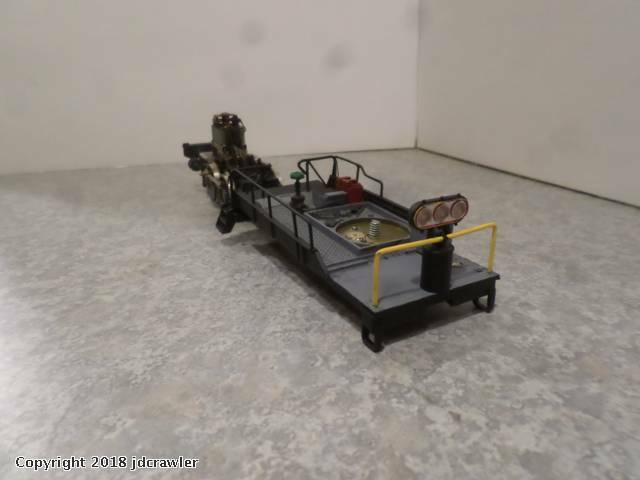 Using parts from the boiler from the 0-8-0 model kit and some pieces of PVC drain pipe and other parts, this is the boiler that I have ended up with to mount on the locomotive chassis. 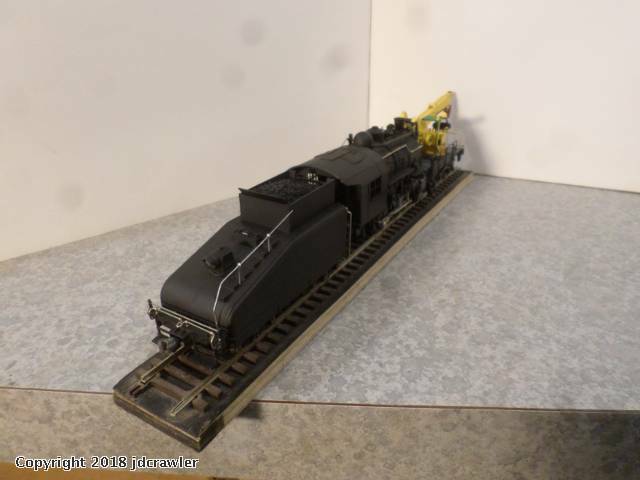 Black is the most common color on steam locomotives so the " flatbed " is repainted so it is now mostly black. 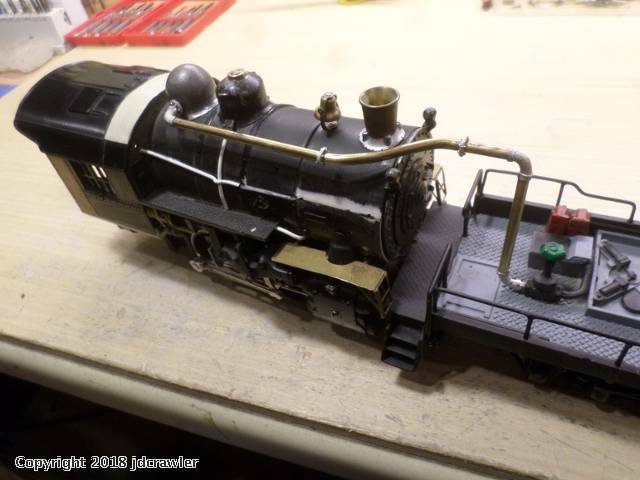 The parts for the valve gear are assembled and painted, as is the steam cylinders. 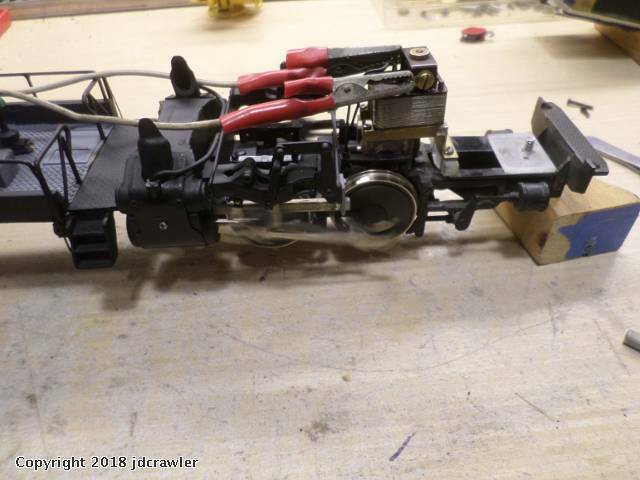 The steam cylinders and the valve linkage are assembled onto the chassis and it's time to test run it and make sure that everything works correctly. 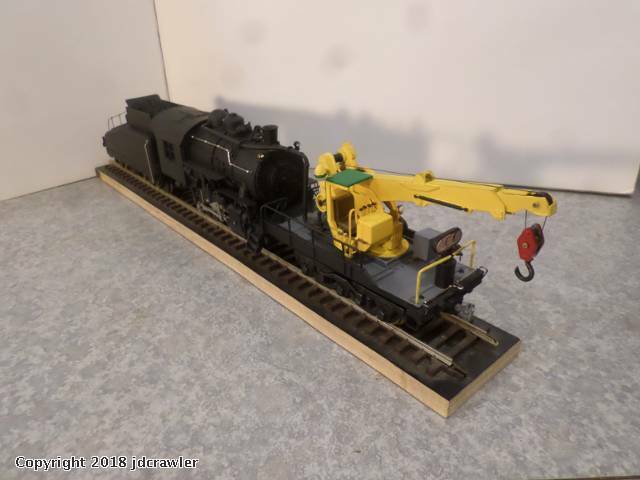 Now .. because this crane is going to be operated by steam power, I need to come up with a steam line running from the locomotive to the crane. I have some nice pipe fittings that are made out of pot metal and some 1/8 inch diameter brass rod for the pipes. 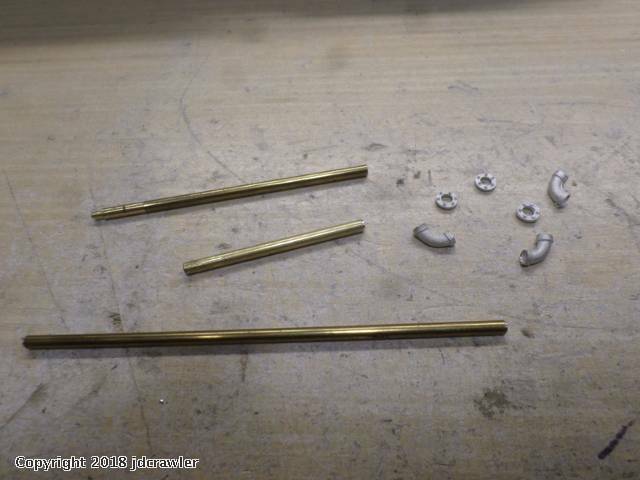 The instruction for the pot metal fittings says to glue them to the brass rod. The brass rod only fits about .010 inside the fittings so the two parts are basically butted together at the glue joint. 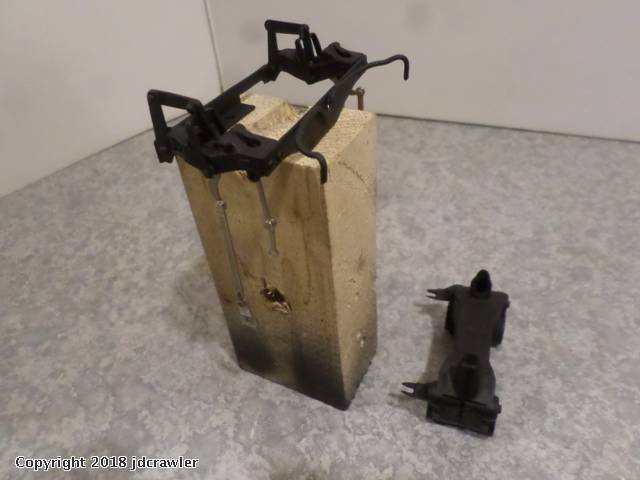 I have found that when gluing materials like these together, without having one part slide far enough into the other part to actually hold it, they will eventually come apart even when using super glue. So, I want to solder them together but the pot metal melts at almost the same temperature as the solder. I have some very fine solder that is only .015 diameter and I found that I have about a half a second from when the solder melts until the pot metal part melts. 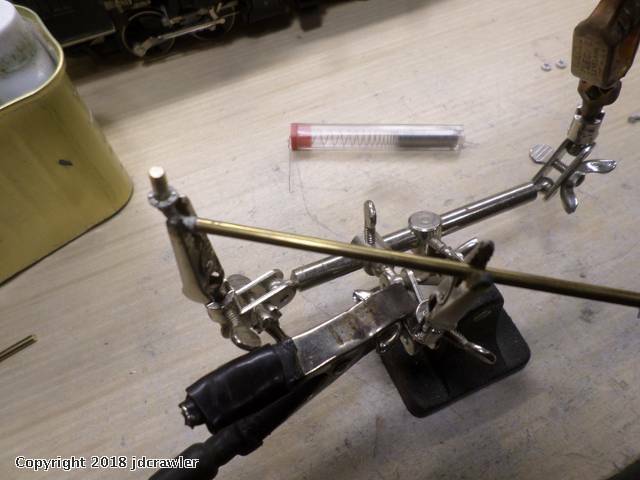 This is the first fitting being soldered onto the brass rod. 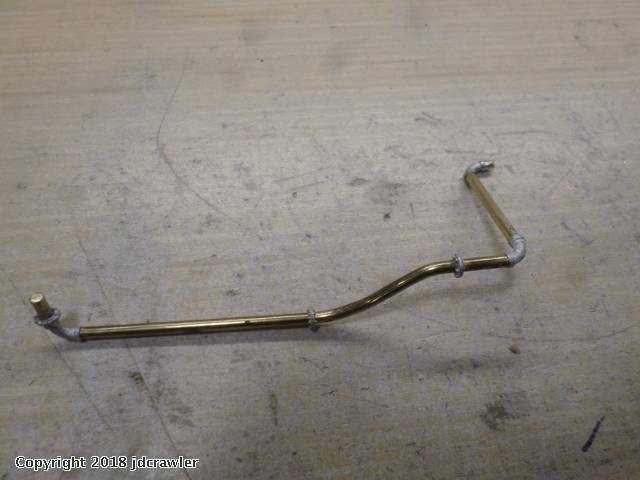 I'm using my resistance solderer to heat the brass rod so as soon as I see the solder start to melt, I pull the solder tip away from the part and it instantly cools enough to harden the solder without melting the fitting. After two hours of cutting and filing and fitting and soldering, the steam pipe is completed. The steam supply line runs from the side of the steam dome on top of the boiler to the crane. I still have to make some brackets to support the pipe along the top of the boiler. 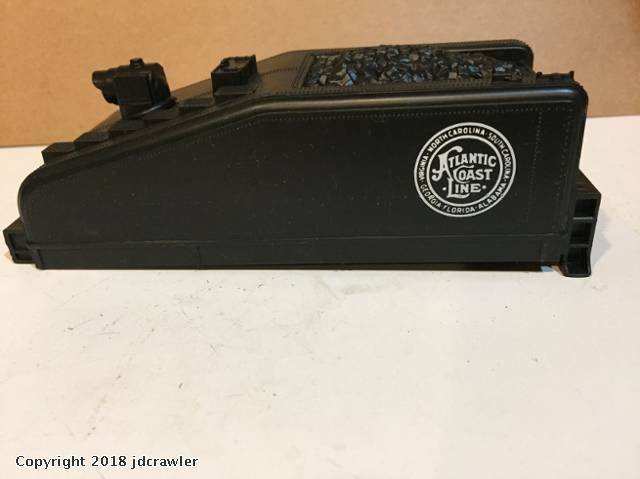 I'm using the plastic body for a Lionel slope back tender for this model. 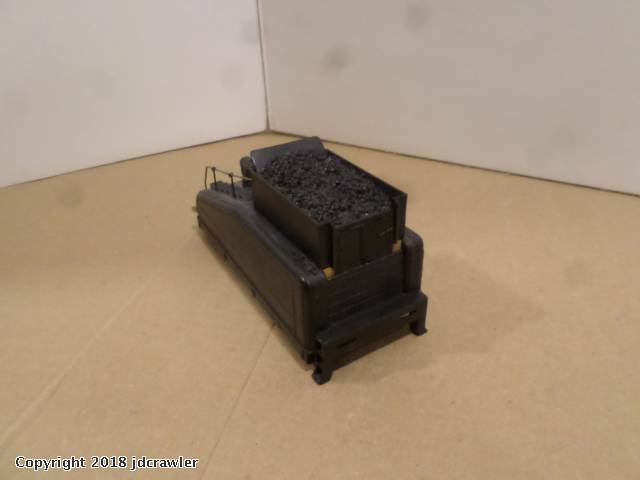 The sides for the coal bunker are extended up using parts from the tender for the Rivarossi 0-8-0 locomotive model kit. 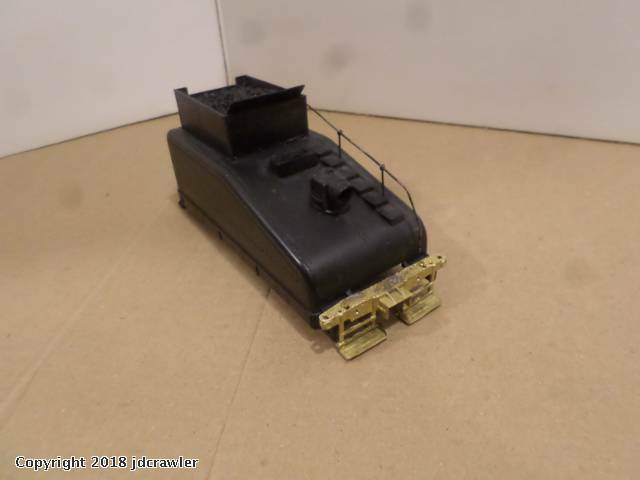 A brass end sill and foot board is mounted to the rear of the tender and the hand railing is made up and mounted along side the steps going up the back slope of the tender. 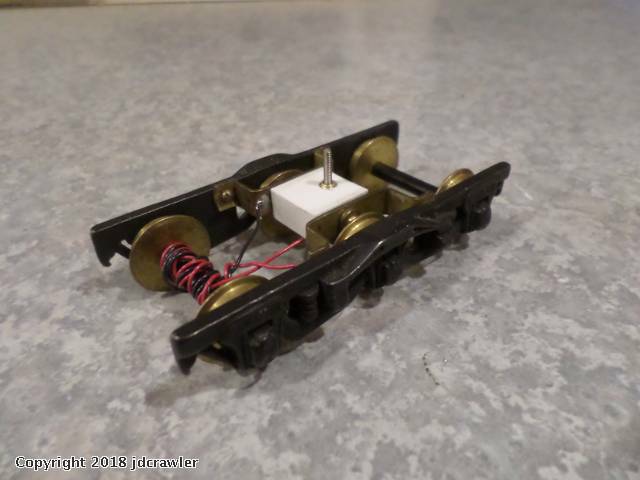 The Lionel trucks with the big flange wheels were replaced with brass scale trucks with the smaller flanges on the wheels. 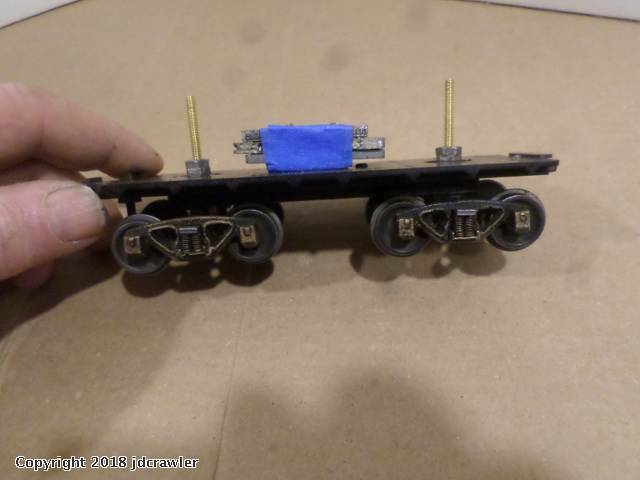 I've mounted some lead on the inside of the tender to give it some weight. The guys in the back shop of the maintenance garage are excited today. It has taken them several months but they finally have a new work crane for them to use. 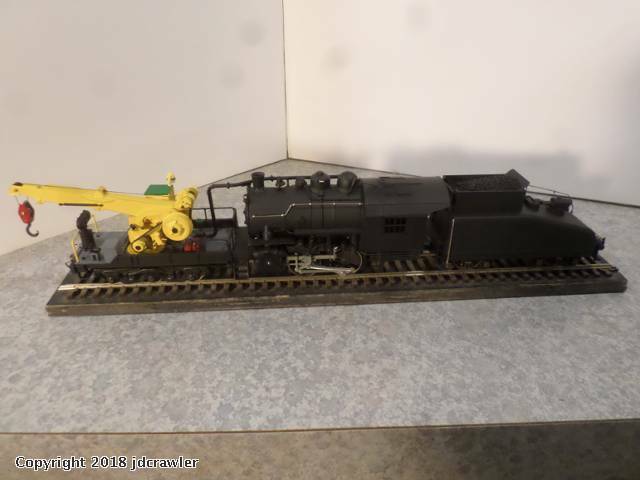 The big boss thought they were crazy when they told him that they wanted that old steam switch engine that had been moved to the scrap yard when the company bought that shinny new diesel switcher but he said they could go ahead and use it. Joe's uncle worked in the Army surplus yard over on the other side of town and he said an old wrecker truck was hauled in there that had the front end smashed up really bad. 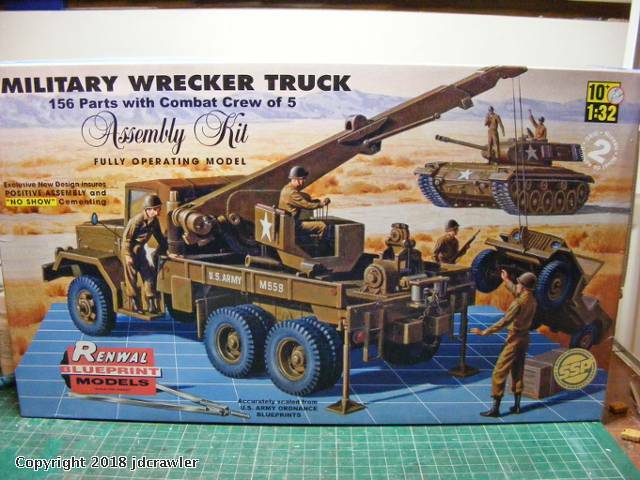 The railroad maintenance guys loaded up their acetylene torch on the back of the company's old flatbed truck and drove over to the Army surplus yard. They cut the crane bed off the back of the Army truck and winched it onto the back of their truck and brought it back to their yard. Over the next few months, the guys in the shop set the bed from the Army wrecker on a six wheel truck from an old passenger car and attached it to the front of the old switch engine. The boom crane from the wrecker had been operated with power from the truck engine thru a power takeoff on the truck's transmission. 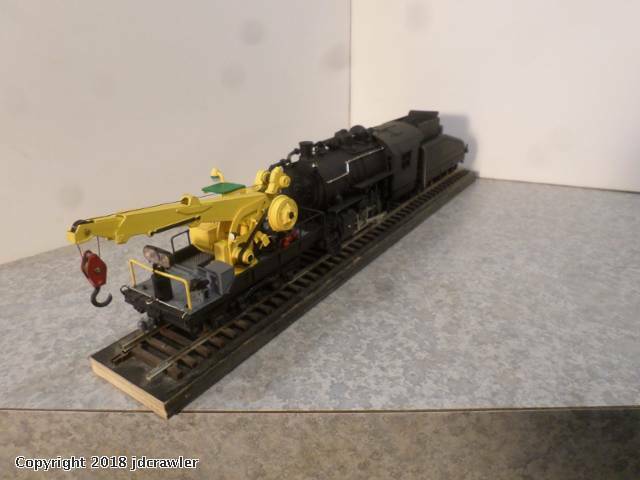 The guys in the back shop adapted steam driven motors to the boom crane to operate it and ran a steam line from the locomotive to power it. This morning they fired up the little switch engine and pulled it out of the shop and Bob brought his camera along to take some photos of their new work crane. The boom crane can rotate from side to side.